One of the more interesting bits of development drama to come out of last year was when Mobile1Up went rogue and decided to port Lemmings to iOS. Sure, it was undoubtedly doomed from the start but it was still incredibly entertaining watching them liveblog the whole process as they ported over their entirely remade Palm OS version of the game. The liveblog mentioned is still online, and still worth reading (start from the bottom) if you’re even vaguely interested in what’s involved in porting an old game to iOS. It wasn’t much of a surprise that the Lemmings project was served with a cease and desist order from Sony, who is sitting on a number of forgotten retro IP’s similar to Lemmings. Regardless, there are two universal constants in the world of gaming: Haters are gonna hate and lawyers are gonna… lawyer? So with the unofficial Lemmings port officially shut down, the developers decided to turn their existing completely rebuilt version of Lemmings into something that’s just barely different enough to legally be in the clear. 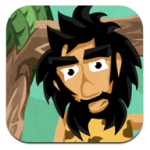 Enter Caveman [$1.99] and its associated Caveman HD [$3.99]. It’s Lemmings right down to its core, except without the actual Lemmings themselves. Given the circumstances, I would have opted for something a little more funny than cavemen, like lawyers, but I suppose it’s in Mobile1Up’s best interest to not push the issue much further. It’s great to see the whole Lemmings port project reaching a conclusion. 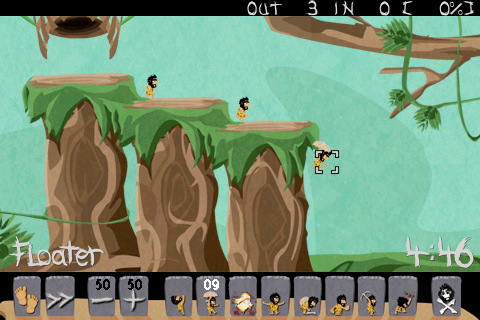 If you’ve been looking for an authentic Lemmings experience but don’t mind a bit of a reskin, make sure to give Cavemen a try.